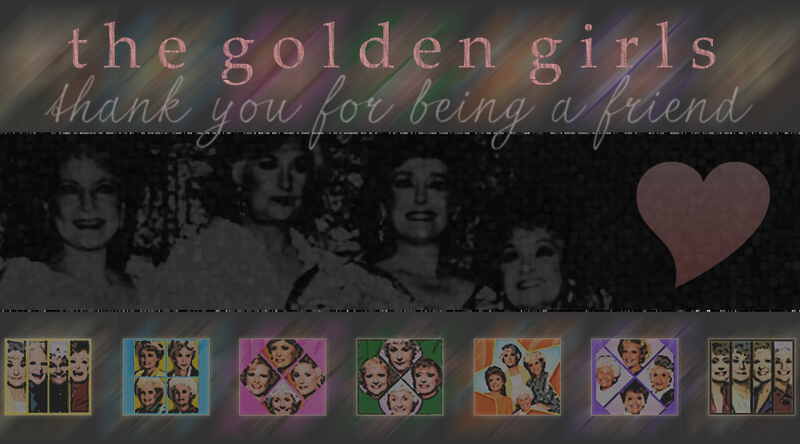 The Golden Girls gave us seven fabulous seasons of laughter, friendship, tears, and the best memories you could ask for! Also, there was cheesecake! These lovely ladies brought us a look into the lives of four "older" women and their young at heart attitudes. We saw them go through many relationships, friendships, ordeals, health scares; and we saw them go through this together. At the heart of the show was their undying love and friendship with one another. This fansite is my dedication to one of my very favorite television series. These ladies were just perfect, and always will be. This lovely fansite is owned and designed by Kristina, and is part of The Fantom collective, maintained using Enthusiast, and established on 30 June 2009, and approved by The Fanlistings.